Nmap: Network Exploration and Security Auditing Cookbook 2nd Edition is now available! Today I take some time to post some news about a project I’ve been working on for the last year. 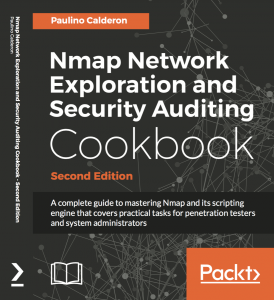 The second edition of Nmap 6:Network Exploration and Security Auditing Cookbook was finally uploaded to PacktPub and it should be available within a week through all official channels (Amazon, O’Reilly, Barnes & Noble, Safari, etc). 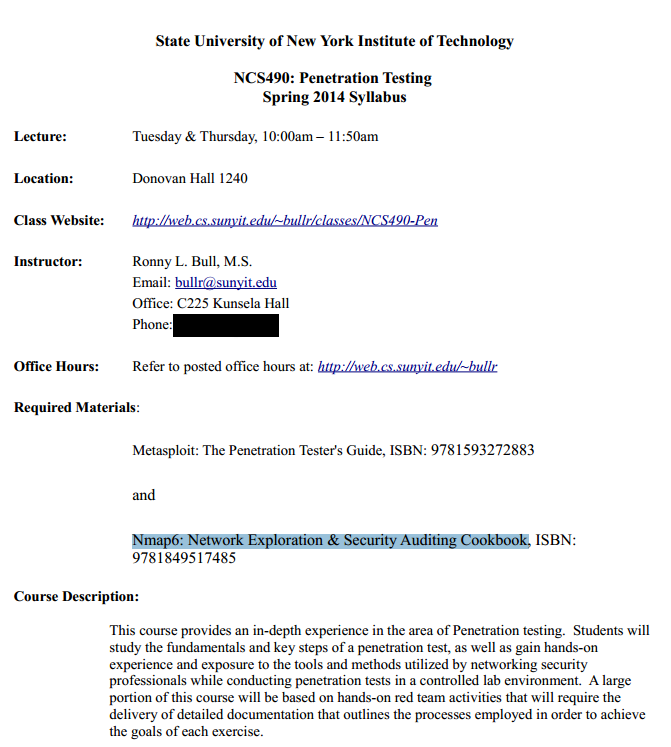 The first edition was well reviewed, referenced by many publications/websites and included as course material in some ethical hacking and computer security courses in universities like Ashford University, State University of New York Institute of Technology, and Czech Technical University in Prague. To my surprise, there is even a korean translation. 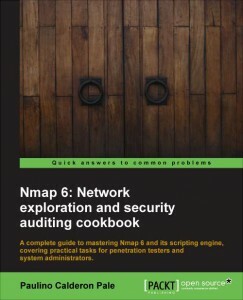 In the second edition, all recipes were revised and updated to include the latest functionality available in Nmap. New recipes were added to every chapter, but that is not everything. I also wrote two brand new chapters covering Microsoft Windows systems and ICS/SCADA scanning to make this edition a lot more complete. If you found the first edition helpful, you are going to love the new second edition with more than 400 pages! Finally, I’d like to thank you all for your support and spreading the word. The second edition wouldn’t have become a reality without you! Update: It is now available on Amazon! I would also like to thank everyone who has taken a little bit of their time to write a review or talk about the book =).